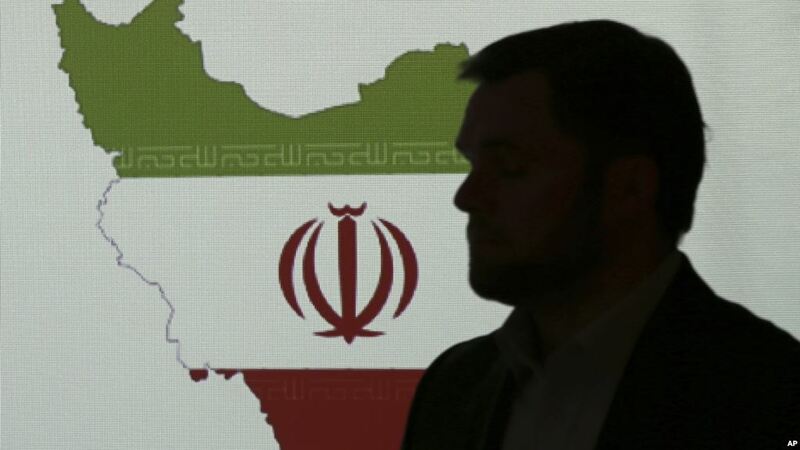 Stuart Davis, a director at one of FireEye’s subsidiaries, stands in front of a map of Iran as he speaks to journalists about the techniques of Iranian hacking, Sept. 20, 2017, in Dubai, United Arab Emirates. CEO David Kennedy gives insight to the broadening presence in the cyberspace that Iran appears to be building. Read the full story from Voice of America News here.